We’ve made selling your car to us in Norwich that little bit more straightforward. We can now offer the Norwich and surrounding areas a mobile purchasing appointment. What does this mean? Our vehicle purchasers will carry out an inspection of your car at your home – no need to travel to us for an appointment! We will come to your front door to carry out our vehicle inspection and short test drive and if you’re happy with our final price? Simply accept and we will transfer the funds straight into your account with our instant bank transfer process. What’s more, we will remove the vehicle from your premises within five working days free of charge. 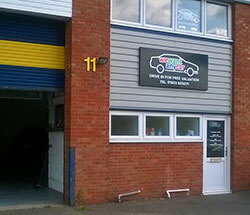 Read more about how to sell your car in Norwich below. Selling your car in the Norwich area is straightforward and hassle-free - simply start the process by filling in our short online valuation form. After you’ve received your free, instant online valuation click the accept valuation button to move on to the next stage in the process. A member of our call centre team will contact you directly to arrange an appointment date and time most convenient for you. We are open seven days a week, so we’re confident we can slot into your busy schedule! Our vehicle purchaser will turn up at your allotted time driving our branded van and wearing our branded uniforms. The purchaser will then inspect your vehicle and take it for a short test drive. If you’re happy with the final price offered, you will receive funds in your bank account before our purchaser leaves your premises – it’s that simple! Excellent service. Fair price with no fuse. Definitely use them again! Friendly fella, explained process clearly, nice to chat to generally. Process was quick and simple. First time selling a car and what brilliant service. Friendly and efficient, just as outlined on the web site. No surprises regarding value of car. Would definitely recommend. Adrian in the Norwich Branch was friendly and excellent to deal with. Easy and simple procedure. Offered a good price online and after checking over the car at the appointment, honoured that offer. The service we received at the appointment was very friendly and money arrived in our bank after a couple of days. Excellent service from Adrian at the Norwich branch gave me the full online valuation price, way above other quotations I had, hope to deal with again in the future, Highly recommended.